Acts 28 narrates the Apostle Paul’s voyage to Rome, traveling as a prisoner. Having wintered at Malta due to a ship wreck, the journey continued: “We put in at Syracuse and stayed there three days. From there we cast off and arrived at Rhegium, and after one day a south wind sprang up and on the second day we came to Puteoli” (vv.12-13). 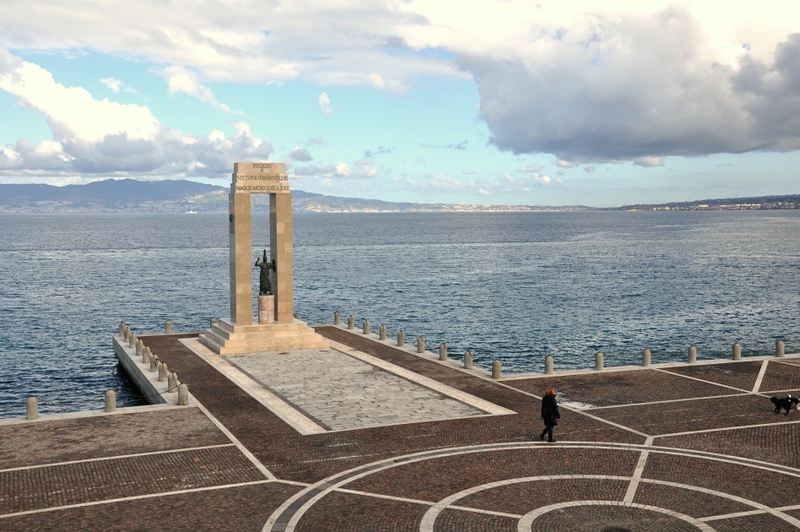 At Rhegium, Italy, looking across Strait of Messina to Sicily. Paul’s ship made a brief stop here. Photo by Leon Mauldin. Important Italian harbor visited by Paul in his journey to Rome (Acts 28:13). From Malta, Paul’s ship traveled north to the Sicilian capital of Syracuse; then in the absence of a south wind they may have tacked into the Strait of Messina, finding good harbor at Rhegium. Another south wind carried them from Rhegium to Puteoli in the Bay of Naples—the ship’s destination, since Puteoli was southern Italy’s chief port, receiving the great Alexandrian grain vessels. The Strait of Messina was well known to every Roman navigator. Passage here was necessary in order to gain access to Italy’s west coast; but its obstacles were numerous. Obstructions, shallows, and the narrow width (c. seven miles from Rhegium to Messina) forced ships to stay at Rhegium until an adequate south wind arose. 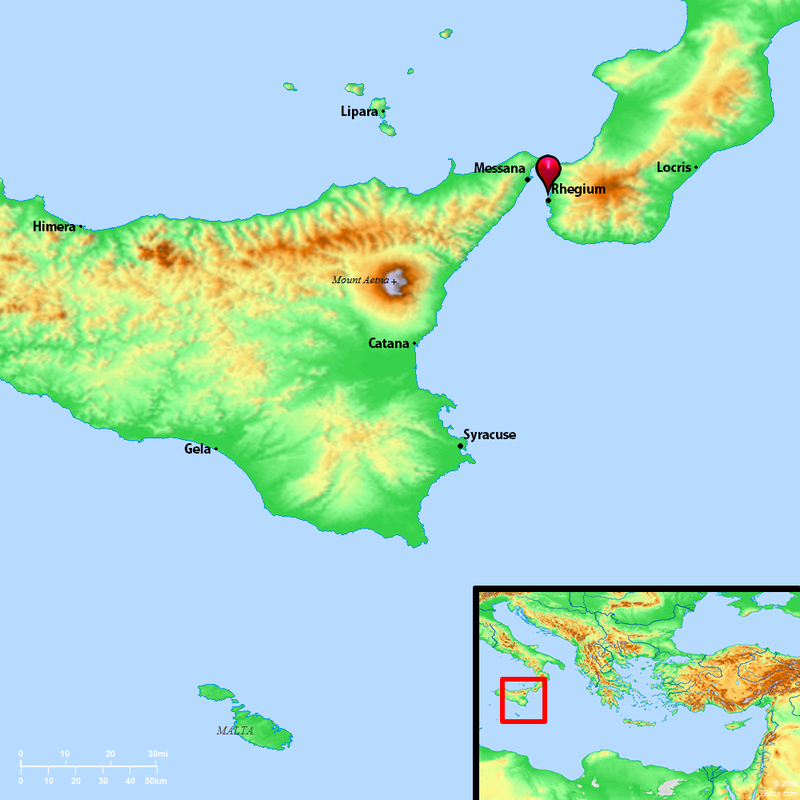 The name “Rhegium” (modern Reggio or Reggio di Calabria) may have come from a Greek verb, meaning “to tear” or “rend.” Sicily, it seemed, had been “torn from the mainland” and Rhegium was the nearest Italian port. (Vol. 2, p. 1857). Rhegium, on the “toe” of the “boot” of Italy, across from the island of Sicily. BibleAtlas.org.